We invite all our customers and partners to our exhibition stand at URBIS Fair held on 25 April and 26 April 2018 at the Brno Exhibition Center. On July 1st, a small soiree with the Beata Rajska autumn fashion collection took place in Karlovy Vary. As a brand partner, we would like to show you some pictures from this successful event. 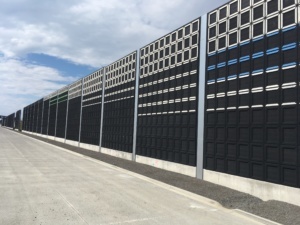 INTERTECH Plus is currently completing the production of absorption panels for noise barriers at the Třinec bypass in the Oldřichovice-Nebory section in the range of ​​80 000 m2. The current photos in the gallery show the diverse design and material constitution of rubber and technical recyclates. The Children and Youth Olympiad 2017 is all over. This year’s event took place in Brno city and over 3600 young athletes took part in it. Congratulations to all who won the beautiful medals and we believe we will hear about many of the promising athletes who we could seen at The Children and Youth Olympiad 2017. Photos are inside the article. The INTERTECH VS Drásov cadets won at this year’s junior competition Vysočina. We are proud partners of VS Drásov volleyball team and congratulations to Drásov Cadet for their victory. 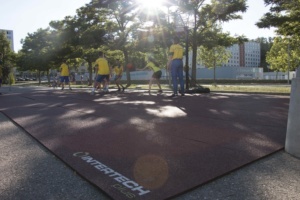 INTERTECH plus will take part in SPORT Life – sports and leisure activities fair, which is part of the sport, dance and entertainment festival. 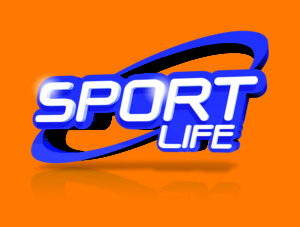 SPORT Life is one of the most important sport events in Central Europe. We invite all customers to visit us on our exhibition stand. We are looking forward to seeing you in the building A2 at the Brno Exhibition Center on 4-6.11.2016. The company INTERTECH plus s.r.o. gave an interview about its operational and economic system. You can read the article here.